Think back to around 2007 and try really hard to recall something that you’ve probably long forgotten: What was it like the first time you used a touchscreen phone? You still feel quite nostalgic about the moment when you’d, for the very first time, held that piece of technology right on your palm. In fact, that’s the mark of successful design. At that time, designers made choices about the way we would interact with our phones. How should we navigate from app to app? How much information is too much to squeeze into a 4-inch screen? 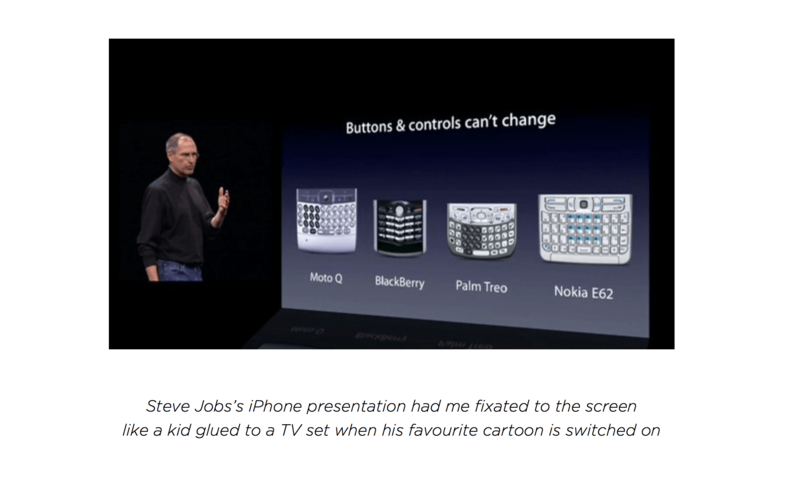 Watching Steve Jobs introduce the first iPhone in 2007 is like listening to a teacher giving a lesson on a foreign language. It took time to figure out what worked, and how, across various operating systems. Eventually, things got easier and more streamlined. Over the better part of a decade, nascent design concepts became long-standing principles, and interacting with our smartphones became second nature. Today we’re experiencing the same awkward period, only this time it’s with computers we strap around our wrists. Designers are quickly learning that the rules they came up with for the phone don’t necessarily work on the shrunken screen of a smartwatch (just imagine if the design principles of our laptops had carried over to our smartphones). New rules apply. But before we could jump in straight into the rules, let’s try understanding WHAT wearable technology is all about. What EXACTLY is Wearable Tech? Wearable technology is clearly gadgets you wear, but there are important distinctions. Wearable tech isn’t a trendy pair of headphones, for example, or a digital watch. What kind of wearables are there? 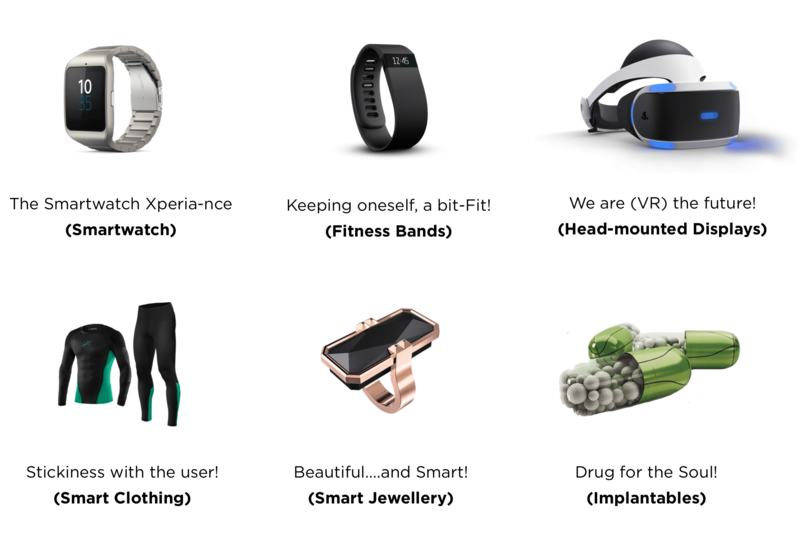 There are a few different categories of wearables at the moment. Some products manage to get their feet in more than one camp and a few others define new categories all of their own. …So let’s take up the Apple Watch! Apple Watch represents a new chapter in the way users relate to technology. It’s the most personal device Apple has ever designed, and it enables new ways to receive information and to interact with apps. As you design your Watch app, it is paramount to understand the foundations on which Apple Watch itself is designed. Rule 1: Keep It Glanceable! Screen-less fitness trackers, which rely on lights or other simple indicators to explain to the user what’s going on. Glanceability is less about reducing the interface down to its most basic visual feedback and more about figuring out exactly what the user needs to see at any given moment. Shazam is a great example of a glanceable wearable app in the way that it only presents you with what you need. Rule 2: Don’t Look Now! Much of the way we interact with wearables will be dependent on other senses: looking, hearing, feeling. Many design thinkers believe the future of getting and inputting information on wearables is a matter of non-visual communication tools. Vibrations that tell you which way to turn, voice dictation to compose texts and emails, gestures that activate certain applications. Rule 3: Avoid the Data Avalanche! The information pushed to you via a wearable should be filtered. Making that happen is an intense design challenge that’s mostly reliant on smart AI that understands what any given person actually needs to see. The best example of this is Google Now, Android Wear’s personal assistant that analyses repeated actions and contextual information to serve up relevant information. Rule 4: Balancing Public and Private! While a wearable itself isn’t private, the content on it often is—which creates an inherent tension. Given the choice, designers should always opt for more privacy. This means being aware of which way the device is facing—inward allows for more personal content to be displayed, outward should default to a dimmed screen. It’s also a matter of notifications: buzz first, display second. Rule 5: Design for Offline! Wearables are gadgets, and gadgets often don’t work as planned. They lose connectivity or don’t sync up correctly. Take Facebook as a good example, where while the user is offline, he/she see a UI element letting them know that, one, they’re offline, and two, that they can still post while offline. The rule acknowledges both; the situation and provides clear steps to the user about what features are currently available. The principles that work feel almost boring in their simplicity. But the obvious, well-worn ideas of designing for glanceability or using gestures are obvious for a reason: We might be in the wild west stage of wearable design, but we’re finally starting to agree on what the technology can and should be. Hope you enjoyed reading this. Please share, comment, ridicule or praise. Look forward to hearing from you all.